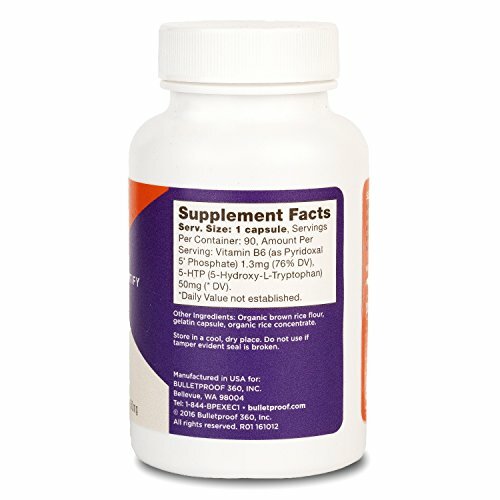 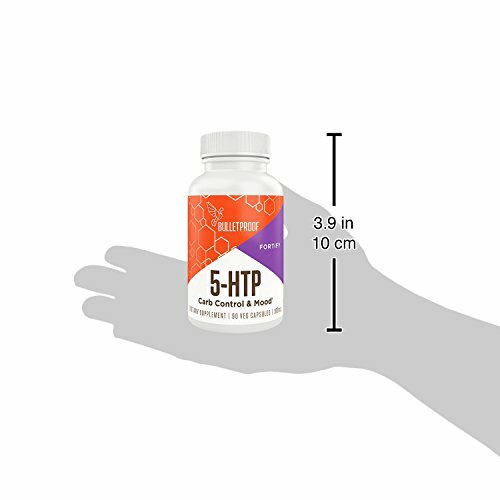 NATURALLY INCREASE SEROTONIN WITH 5-HTP: 5-HTP is what your body naturally makes from the amino acid tryptophan, and turning tryptophan into 5-HTP is your body’s natural bottleneck in the production of serotonin. 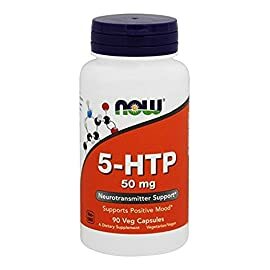 Supplementing with 5-HTP – which readily crosses the blood-brain-barrier – is the easiest way to organically support your levels of the mood-lifting neurotransmitter serotonin. FORMULATED FOR OPTIMAL CONVERSION TO SEROTONIN: Bulletproof combines natural plant-sourced 5-HTP with vitamin B-6 for optimal conversion to serotonin (one of the primary functions of B-6 is to assist in the synthesis of amino acids and neurotransmitters). 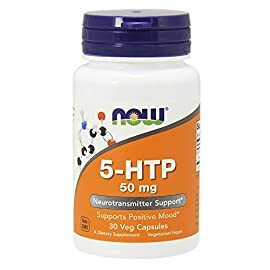 If you could bottle the neurotransmitter serotonin, it would instantly be one of the top supplements: After all, it’s not only responsible for carrying signals between your nerves – in the process, it helps boost your mood and emotional well-being, while curbing stress. 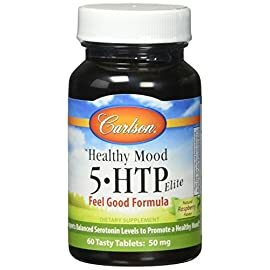 In short, serotonin helps keep you satisfied – which is why some experts call it your brain’s “Confidence Molecule.” However, serotonin itself can’t cross the blood-brain barrier – meaning that your brain must produce it from within. 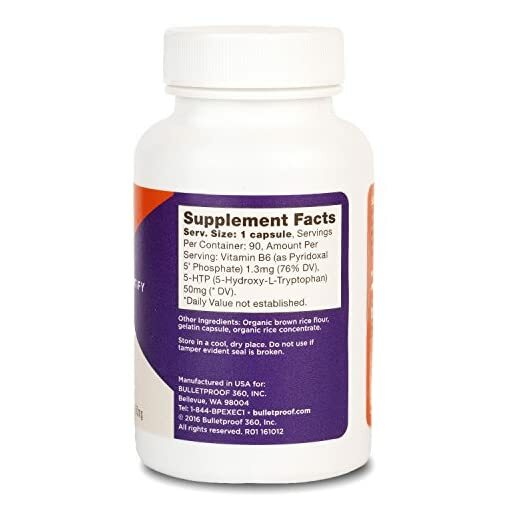 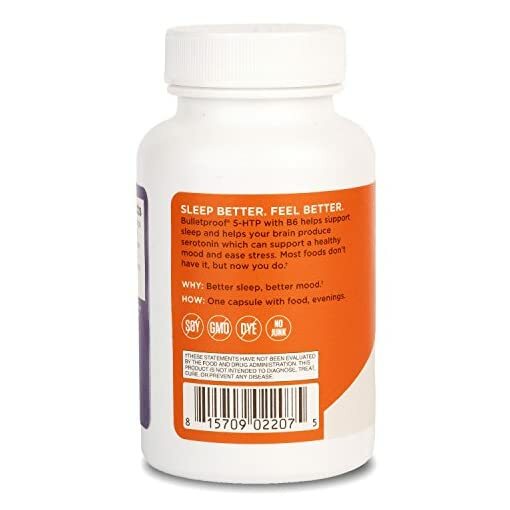 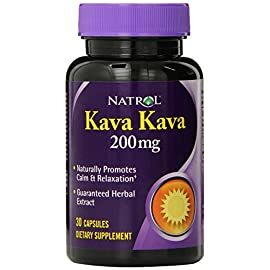 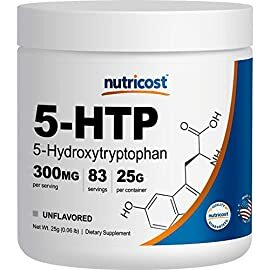 Fortunately, though – you can naturally support and enhance your brain’s levels of serotonin indirectly by giving your system its direct amino acid precursor known as 5-Hydroxytryptophan (5-HTP for short). 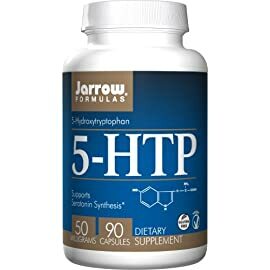 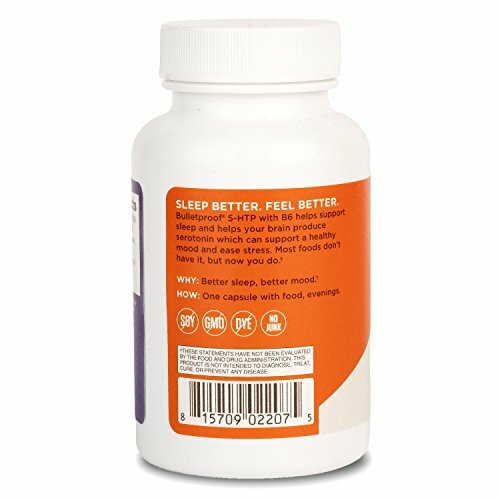 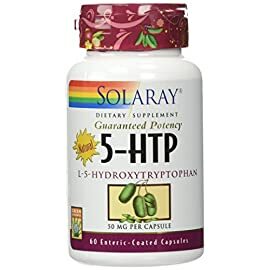 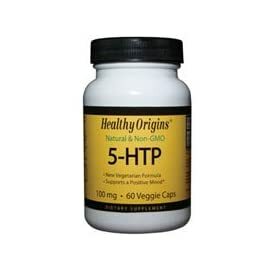 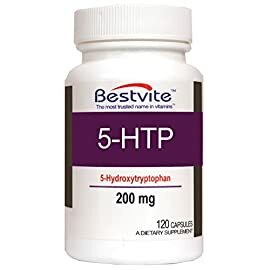 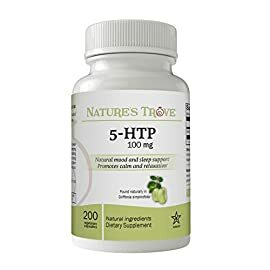 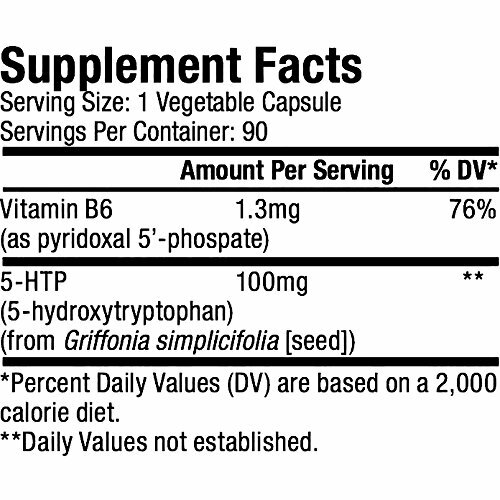 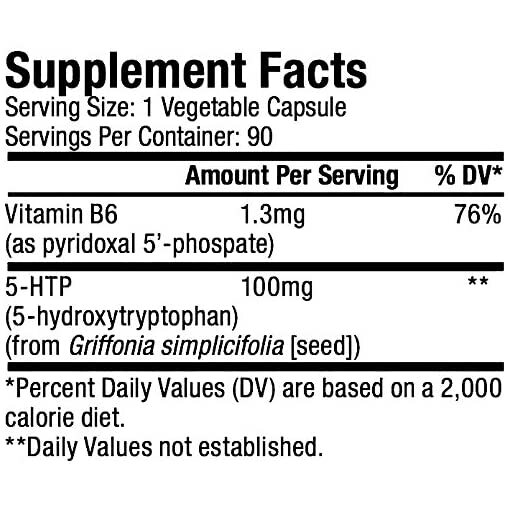 5-HTP is what your body naturally makes from the amino acid tryptophan, and turning tryptophan into 5-HTP is your body’s natural bottleneck in the production of serotonin. 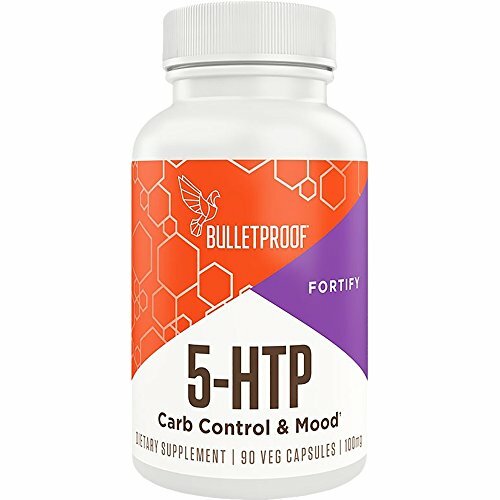 Supplementing with 5-HTP – which readily crosses the blood-brain-barrier – is the easiest way to organically support your levels of the mood-lifting neurotransmitter serotonin. 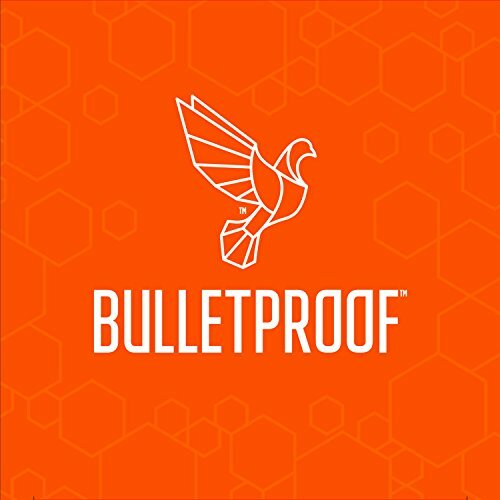 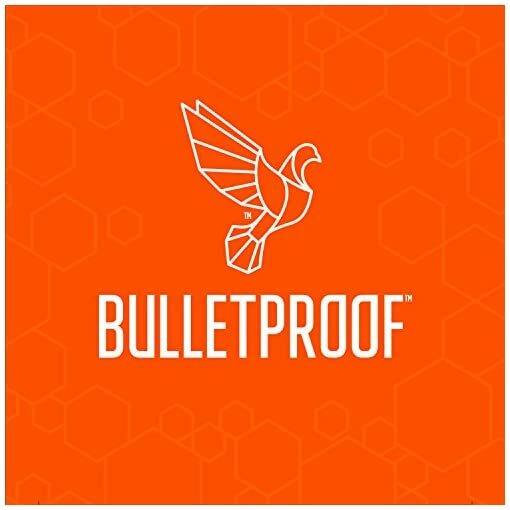 Bulletproof combines natural plant-sourced 5-HTP with vitamin B-6 for optimal conversion to serotonin (one of the primary functions of B-6 is to assist in the synthesis of amino acids and neurotransmitters).